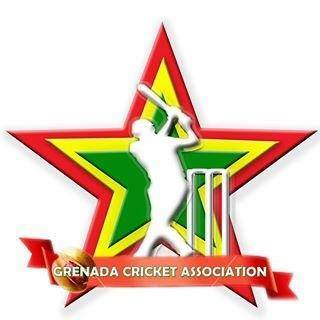 For the 17th year, the Republic Bank and Grenada Cricket Association (GCA) is hosting its Under-19 Parish Cricket Tournament. With no exception as in recent years, the Carriacou Under-19 Cricket Team, captained by Carriacou’s 2014 Cricketer of the Year, Emmanuel Stewart, has journeyed to the mainland Grenada for cricket rivalry against 16 other parish teams. The 11-man squad selected to travel to Grenada includes: Captain — Emmanuel Stewart, Alex Moses, Darron Fraser, Curtly Modeste, Aaron John, Layne Julien, Lyron Joseph, Nial Joseph, Kayjonne Simon, S. Bethel and Wasim Coy. Senior Coach in the Ministry of Carriacou and Petite Martinique Affairs, Mr Sebastian Stiell, applauded the Carriacou United Cricket Board for selecting what he called a well-balanced team. Mr Stiell said that having such a team packed with outstanding cricket skills and talents, the sister-isle can expect great results. Parliamentary Secretary of Carriacou and Petite Martinique Affairs, Sen. Hon. Norland Cox, extended best wishes on behalf of the Minister of Carriacou and Petite Martinique Affairs, Hon. Elvin Nimrod, to the Carriacou Under-19 Team. Parliamentary Secretary of Carriacou and Petite Martinique Affairs, Sen. Hon. Norland Cox, noted that the sport of Cricket seems to be making significant improvements on the sister-isle, and is planning to meet with Minister Nimrod to storm head the way forward for all sporting disciplines. He also signaled a planned meeting with the various sporting organizations in Carriacou to address concerns and to strategically plan for the development of sports and sporting facilities. The 2015 Republic Bank GCA Under-19 Parish Cricket Tournament is carded for 6 to 10 April 2015.